“I share this post as a firm believer of the power of a support group that enables you to have access to help through others like yourself. Talking is very beneficial as it helps members to also learn about their conditions and also where to find specified help and resources. Sometimes just knowing you’re not the only one can mean the World when times are so difficult. The only problem I find is that social anxiety makes the process quite scary for newer and existing members, including myself. People don’t attend as a result, or are just too ill. 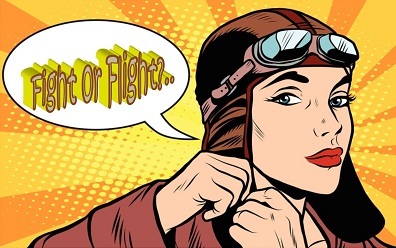 Here at FibroFlutters we got around that by ensuring all members had communication access through a multichanelled social media network allowing us all to keep in touch. As well as that we keep our meetings as informal as possible to prevent any other anxieties that formulate as a result of being in a formal environment, which believe it or not… is disliked by just about everyone and is what puts them off joining ‘affiliated’ groups! 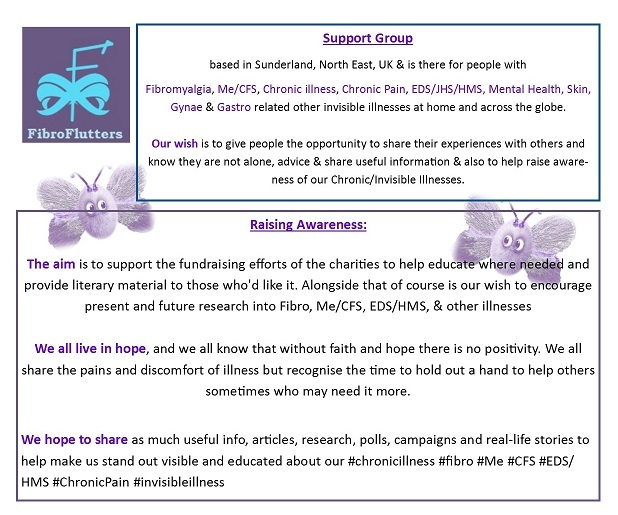 FibroFlutters ‘Sunderland’ our local support group is also a completely ‘Patient-Led’ support group with a board that consists of ‘Five Founding Members’ who basically shaped and developed the group for the first 18 months of existence. This is a unique and more modern approach to running a support group that enables us to have the freedom to change with the times as it does. We each have different illness niches, and our own interests, that we bring to FibroFlutters and we use our individual skillsets to enhance the work and projects which we undertake. We do operate as ‘Volunteers’ and ‘Supporters’ of Fibromyalgia Action UK, Sunderland Mind and EDS UK where there are a few formailities involved.. but in the background!